Wanna know where to watch the F1 in London? 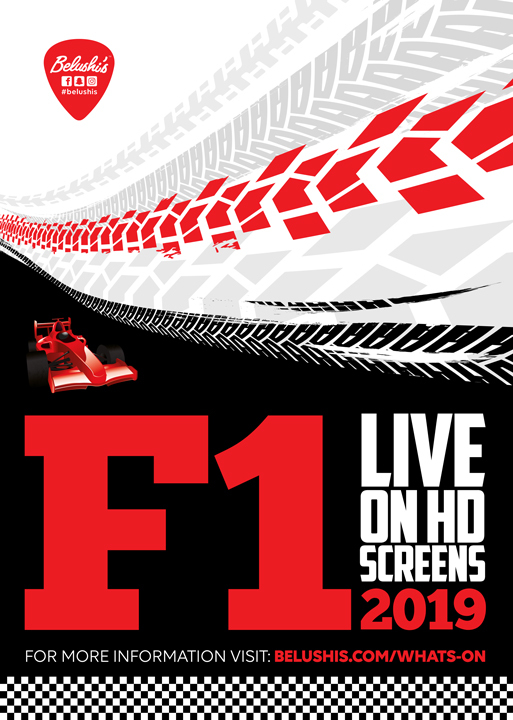 Belushi’s Bars across the city will be showing the best of the 2019 season LIVE on huge HD screens and projectors! Make the most of our epic burger menu or giant bar snacks with a chilled international beer, and cheer on your favourite as they cross the finish line. There’s never a dull atmosphere in Belushi’s, so get in touch to find out exactly which races we’ll be showing. You’re in for a crazy ride!